AWAY back in the 1960s when my proposal of marriage to a young blonde and beautiful Gwenda Ross was, happily accepted, our wedding became more than an event, it evolved into a marvellous 50 year adventure. And it began in then somewhat wild and woolly Port Moresby where Gwenda worked in the Accounts Department of the ABC's then Port Moresby radio studios, while I was running their newly-established New Guinea Islands News Service at further-off Rabaul. But because I had proposed by mail and Gwenda had accepted by mail (in those days a phone call as short as 3-minutes was around the equivalent of a week's salary,) and as I had been refused leave to get married in Sydney from whence we both originated, I flew to Moresby on the Friday, we were married on the Saturday, and we flew back to Rabaul on the Sunday. 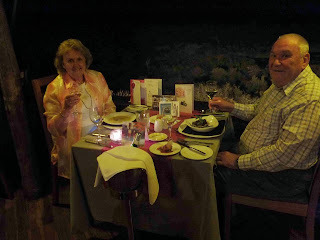 And little did we think then that 50 years on we would celebrate 50 years married life in an equally "wild" destination, but certainly a far more salubrious one than Port Moresby and Rabaul offered back in those distant 1960s. Having tossed-in the ABC after 20 years and gone into the PR game, taking to writing travel on the side, I'd been to Africa a number of times and always loved the place. And we would finish with a flight to Victoria Falls with a couple of nights there at its magnificent Victoria Falls Safari Lodge, voted "Best Safari Lodge" in Zimbabwe for 17 consecutive years, and Gold Listed by Conde Nast Traveller as well, suggesting they must have been doing something right all those years…. Here in the Club you have private check-in, Butler Service if you want it, complimentary Afternoon Tea and Pastries from 3.30-4.30pm, complimentary Cocktails and Snacks 5pm-6pm, free Wifi in the lounge, free shuttle service to Victoria Falls and township 4km away, a private viewing deck overlooking the game corridor to the Zambezi River, and a Club Guests-only bar from 11am to late. For dining, guests choose from the Safari Lodge's open-air Boma Eating Place with campfire soup starters, traditional Zimbabwean dishes (Warthog fillet, game stews or for bravery fried Mopani Worms,) barbecued Western- and Zimbabwean-style beef, pork, fish and chicken dishes, and decadent desserts, all to the wild beat of African music and dancing. Dining was superb 5-star-plus Western/African, with a resident acapella group whose harmonious traditional melodies will be long, long remembered. 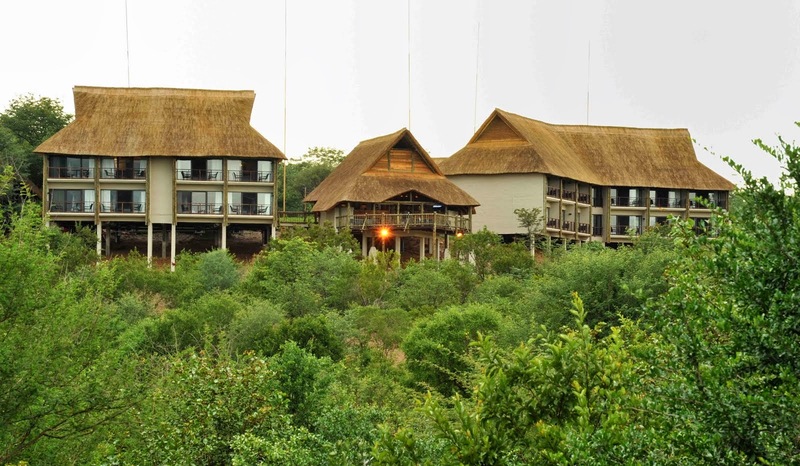 By day Lodge and Club guests can book everything from a visit to the Falls, white-water rafting, an elephant ride, a day-safari, go catching tigerfish on the Zambezi… or simply take-in the bushveld and waterhole's game activity from the Lodge deck. 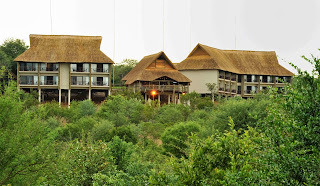 VICTORIA Falls Safari lodge, with spectacular private game watering hole. FRONT of the Lodge's super-luxury Club Wing for that special-occasion escape. 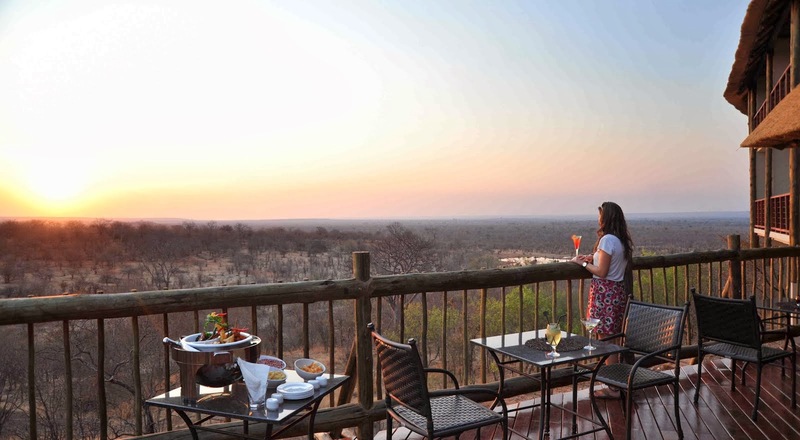 overlooking the watering hole and African bushveld. 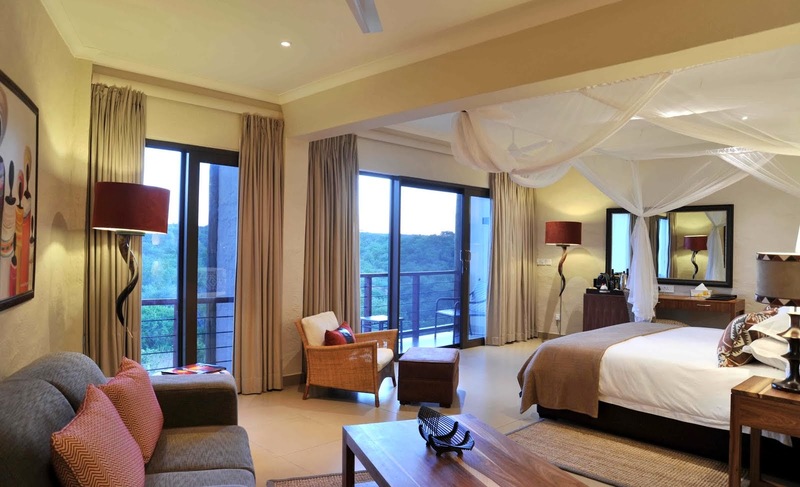 MAGNIFICENT Club Suite at Victoria Falls Safari Lodge – unadulteratedly luxurious. SUNDOWNER drinks on the Club deck overlooking the private game watering hole.